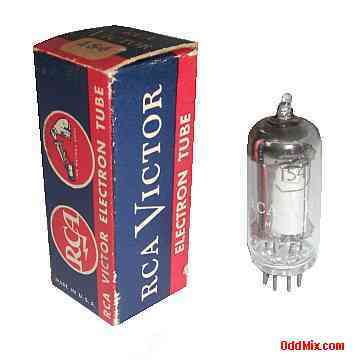 This is a genuine discontinued RCA Victor 1S4 Electronic Tube in an original, old style box. A collector's special vacuum tube. These miniature type tubes used as output amplifier stage in lightweight, compact, portable, battery-operated equipment. Excellent for those antique radio restoration projects or to set up a private vacuumtube museum. It is NOS tube - New Old Stock, unused, boxed, and kept for all these years in mint condition.